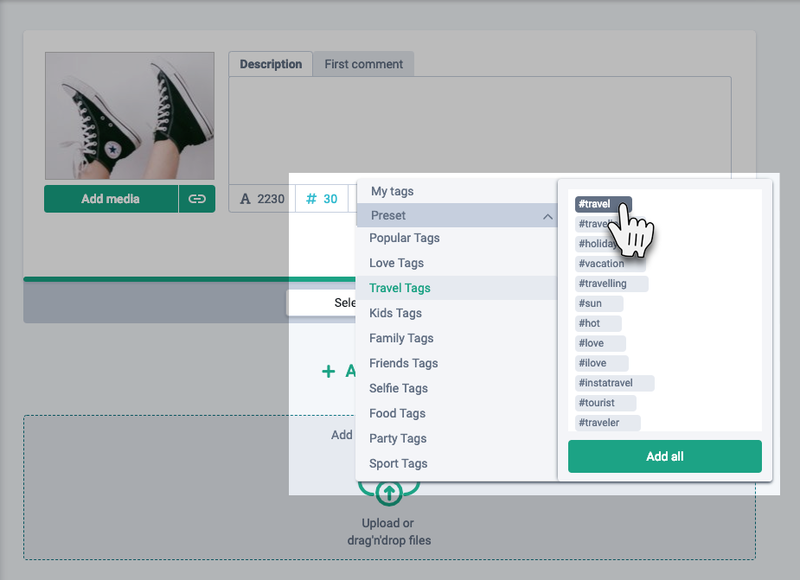 Specially for you, we have found the most popular hashtags and added them to the separate section to allow you adding them to your post quickly. Click the “#” icon, select Preset, select a category, and click the hashtag you need – it will appear in the post form. You can also create a list of your own hashtags. To do it, select My tags and add hashtags you use most often. 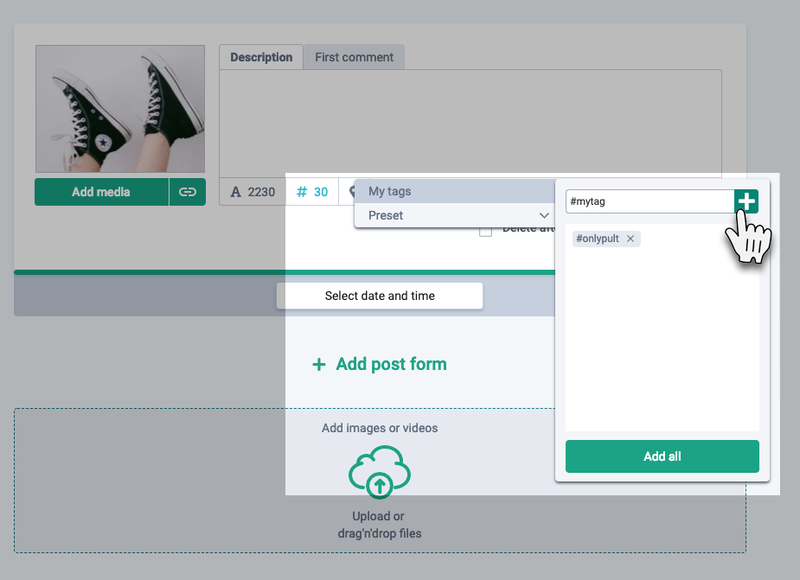 When publishing a new post, you can select hashtags you need in one click.